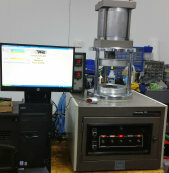 3 Monsanto R100 with CompuGRAPH for Windows complete with computers and ThermoTECH digital temperature controler. A lot of parts for Rheometers, Viscometers, tensile testers are available, please email us with your requirements as we can not list all parts. Lloyd's parts are always new from the manufacturer.